There are certain things in this world that everyone has in common in one way or the other. I think love for music is one of them. We may not all like the same type of music, but I do think that in some way or another we all like some sort of music. I'm in no way shape or matter a musician, but I do like a little bit of everything. And sometimes I wish this wasn't the case because keeping a music collection organized is hell when you want to have some of EVERYTHING in there. The fact that I listen to music in English, Spanish and Japanese (even if I don't understand what they are saying) doesn't help. This is where music services like Spotify are actually a great thing for me. For $10 dollars a month I can stream all the music I want from their huge music library. Now this means that I'll be using up my data plan in order to stream the music from the "cloud". However I can create a bunch of playlists and if I ever want to keep a certain playlist in my mobile device, I can set it up as available offline. Which means it will download the songs so that I may play them all I want without having to use my data service. So, before a trip to Mexico, I can download a bunch of play lists so that I know I'll have plenty of stuff to listen to. I can also set up to 3 different mobile devices to one account. So I could listen to music on my Thunderbolt phone or my ipod Touch or my Xoom. Or if you were married you could set up your device and your spouses under the same account. I've been playing with the PC Application as well as the Android application and the iOS application and I must say that these are all very well made. They all run very smoothly and playing the music starts very fast on all of them. Spotify is certainly not the only music rental service and for a lot of people it is not the best, but personally I have found their applications to work better than anything else I've tried. Another thing I like is how I can set up a playlist to download only to a specific device. So if I have PlaylistA set up to download on my Thunderbolt but I'm using Spotify on my iPod Touch the same PlaylistA will not be downloaded into my iPod Touch. However, if on my iPod Touch I add a song to PlaylistA, it will automatically start downloading to my Thunderbolt as soon as I run the Application. Another feature I like is on the desktop. It will look at all the music files you have in your computer and if it recognizes the album as something it has in it's library, it will allow you to add it to any of your playlists. So lets say I have a song in my computer and that same album is in the spotify library, it will allow me to add that song to my PlaylistA and it will automatically download that song into my Thunderbolt. No need for me to connect anything. Now, if I have a song in my computer that the program doesn't recognize, it will still allow me to add it to any playlists, but I will need to connect that device to the same network as the computer in order for it to move the files to the device. However the wireless syncing that this application offers is the simplest to use I've ever used. Simply connect the device to the same network and open the application on both the computer and the device. Of course, this is music rental, so if you ever decide to stop paying for it, you will lose whatever music you downloaded (Max of 3,333 songs is what you can download). The $10 a month service isn't the only one either. 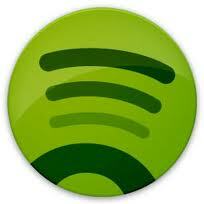 There is a Free service which allows you to stream music over your PC only. But very much like Pandora you will get advertisements. There is also a $5 a month service which is basically the same as the free but without the ads. Spotify isn't perfect, I've found some albums that I was very surprised to find, but I've also not found others that I was also very surprised to not find. It is also lacking a music discovery service like Pandora. But Pandora is free so I just keep that app in my phone as well. Personally I think that if you are like me, where your music taste just changes week after week, then this service is certainly worth the $10 a month. Yea you could download plenty of songs in other ways for free if you wanted to, and I certainly used to, but now, it's just easier to just pay the $10 a month and not have to deal with it. For those of you who are already thinking 'Dude I can't afford $10 a month", think again. I'm sure you will notice that you spend $10 on much worse things. Why is it that we feel spending $10 a month on something that will entertain us all we want all month is so horrible but spending $5 on that Mc Donalds breakfast and another $5 on that Starbucks coffee that lasted a few minutes seems so ok? So last week I spent most of it in North Carolina on an inventory trip, but the week before that I finally convinced my brother to drop that iPhone and get himself an Android phone. Now I'm a bit jealous because he's on AT&T and he was able to get a Galaxy S II. But it's ok, I'm waiting for my Galaxy Nexus. Anyway, he mentioned he hadn't really found anything really cool that would make him really glad he switched to Android. So I thought I should write down a list of my personal favorite things about Android so that I could then give it to him to get him started. But then I thought "Hey, if you are going to make such a list, may as well make it a blog post". So here is my list! 1. Free GPS with Turn by Turn navigation. Can the iPhone do this? Yes of course, but I don't know of a single free application that is worth anything available for the iPhone. Just about every Android phone, if not every android phone, comes with Google Navigation. I've used plenty of GPS systems in the past and I must say this one works beautifully. Well, in the US anyway, as long as you have an internet connection. You can still download other applications if you want something that wont need the internet. I am so sick and tired of seeing all these iPhone charging gadgets out there that cost so much. With most Android phones, if your battery runs out, just switch it with another one. Simple as that. The batteries are usually not very expensive and finding a docking station that will keep a second pair of batteries fresh for you isn't that difficult. The Micro USB cable that powers most Android devices is simply a lot cheaper and easier to get than an iPhone cable. This makes it very simple to keep a few at home and at work and in the car and just about anywhere you feel you may need to charge your phone a bit. Don't like the onscreen keyboard in your iPhone? Tough. With Android you can change the keyboard and there is a LOT of different ones. Plenty of free ones, but lets be realistic, chances are you will need to pay for the better ones. But at least there is an option. There are keyboards that will guess most of the words you are trying to say, there are keyboards that will recognize your hand writing, there are keyboards where you just swype over the letters you want to type with one finger and it figures out the words. Or there are some that have much better voice recognition. Point is, there are options. People are not expected to just use one way. For the longest time one of my favorite things that I could do with Android that I couldn't do with iPhone was in the Market. The ability to re-download anything I had previously purchased. Well with iOS 5 Apple finally made it so that you can easily re-download anything you've previously purchased. That's great news. However, there is still one feature about the Android Market that I wish the App Store had, and this is the ability to preview software. In the Android Market if I pay for something, I can test it for 15 minutes. If I don't like it in those 15 minutes, I can simply delete it and ask for a refund with the click of a button. Can you get your money back with iOS? yea I'm sure you can, but it's certainly not THIS simple. Another thing I love about the Market is the online market. Makes it very easy for me to browse everything right from my browser and buy it as well. It then automatically sends the stuff to my phone and installs it. Widgets are both a great thing and a horrible thing for Android. I think a lot of people abuse the widgets and because of this they end up getting poor performance and horrible battery life. But well used widgets can truly simplify your life. If I want to turn on or off my Wi-Fi or GPS or sound or so many different things, all I have to do is click on that widget and it'll take care of it for me. No need to go into setup. Or maybe I want to completely change my screen brightness with just 2 taps. Or maybe I just like having information right there without me having to go into a specific app. Things like my Emails, or Facebook or Twitter or weather or so many other things. Don't like my desktop? I can change it. And I'm not talking about just the background picture or placing my apps wherever I want here. I mean the whole program (called a launcher). I can make my desktop look totally different each day of the week if I want. Each launcher comes with it's own unique features too. Something like Launcher Pro comes with some very neat effects each time you switch pages, while something like GoLauncher has a ton of different themes. There is other things you can change too. Don't like the default messaging app? You can change that. Don't like the default camera app? You can change that. There is very little in Android that you can't change. I am a big Google Voice fan, and I LOVE how integrated it can be into Android Phones. I use it as my only voice mail program. But I really like how I can make it so that all my calls are made using google voice or only international calls or I can have it ask me before every call if I want to use Google Voice or not or of course I can just tell it to never use it. There is nothing here you wont be able to do with an iPhone, but in Android it sure is easier. For example, lets say I am looking in my gallery and I find a picture I want to post on facebook. Right from the gallery I can click on share and I get a ton of options of different ways I can share this. I click on facebook and it gives me the ability to add some text to it and then sends it. I can click on Share right there again and email it to dad. I can click on share again and send it to my sister via a Text. I can post it in Google Plus real quick too. Or maybe I want to send it to Flickr or Picasa or Tweeter or who knows what else. It's all right there. Call me old fashioned if you want, but I like the fact that I can plug in my Android Phone to my computer and it allows me to see and read all the files in the SD Card. From there I can see and manage all my MP3 files. Or all my videos or all my pictures. I can put everything in nicely organized folders and know exactly where all my information is. All my pictures are in the Pictures folder, while all my MP3s are in the Music folder and all my documents are in the Documents folder. This is probably a turn off for a lot of people, now a days people don't want to deal with folders, personally I NEED to be able to see all my folders. I'm glad the iPhone allows me to have quick access to my pictures, but I want quick access to everything. I like the Android Market, but I also like knowing there are other markets I can use, like the Amazon App Store for Android. A free paid app every day? Yes please! Sure, most of the time they are crap apps anyway, but every now and then there is something really good. Every morning you wake up and think "Oh I wonder what we'll get today!". When iOS 5 came out, Apple was making a really big deal about the iCloud. To me the iCloud is just trying to do what Google has been doing for years. Linking everything to my 1 Gmail account. If I add an appointment in my calendar using my phone, I already see it in my browser at home. If I add a contact to my Google Voice account it's already going to be in my phone. My emails are always synced also. My google docs documents are always in the cloud and Google Music takes care of streaming all my MP3 files that I uploaded. But if the iCloud allows for a lot of this to happen now, why do I have have it in the list? Well, because iCloud only syncs up some of your devices. Google keeps everything in the cloud so that I can easily access all of it with my web browser from any computer. Not really an Android feature, but certainly one of the main reasons why Android has become so Popular. Not everyone can afford to waste money buying an iPhone 4S when they already have an iPhone 4. Some of us want our next phone to actually be better than our previous. Like, a lot better. Some of us like bigger screens, some like smaller screens. Some just need blackberry like keyboards while some of us have to have a physical qwerty keyboard. Some of us like white, others black, others red or yellow or blue or whatever. Some of us want a higher resolution screen while others just want our colors to look much better. Some of us want to buy the 16GB version and then upgrade the SD Card later. Don't get me wrong, as much trash as I like to talk about Apple, I'm glad they are there, I certainly respect the company. But Apple just has this bad vibe to it. Personally I honestly lose a little bit of respect for people when I see them with Apple products or say they want an Apple product. If they get it just because they want simplicity then I'm all up for it. But when I see people that buy Apple Products because they honestly think the product is superior, that to me is a bit sad. Depending on the product and what the person wants to do obviously. Even I have recommended a few people to get Macbook Airs. They are great little devices if you are looking for something easy to carry around with great battery life and a quick boot up. But if you are getting a Mac to do video editing just because you've heard that Macs are the best for that, then I'm sorry but I will lose some respect for you. I used to have an iPhone for a couple of years. It was Jailbroken and I enjoyed some of the things I could do with it. So I certainly don't want to disrespect any of those developers, I think they do great things. But when I moved to Android and started dealing with Rooting, it's like I found a new home. All these developers and the many Android communities out there on forums are absolutely amazing. So many people helping each other out. It's like no matter how bad the carriers try to screw us over, the community always comes out ahead. I wanted this list to be of things that do NOT require rooting your devices. Everything I have talked about here are things you should be able to just do without any kind of hacking. I am glad to say that there were some things I was unable to add to this list that I used to because Apple has finally been catching up. The Notifications was one of them, but with iOS 5 Apple decided to put the Android notifications system into iOS. But don't worry, they still called it "NEW" and "Magical". I also made it a point to not add FLASH to the list. Don't get me wrong, FLASH is a HUGE one. But I think flash is so overused in these lists that I just didn't want to use it. But Flahs is a huge part of the internet. Maybe it wont be for ever, but right now it is, and to have a browser that doesn't support it, is just wrong in my opinion. So I'm very happy my Android phone and Tablet both can do flash just fine. Well that is it for now. I'm sure that as soon as I publish this I will start remembering other things that I would have liked to add to the list. But, that always happens. I wanted to make a post today but I didn't have anything special I wanted to talk about, so I figured I'd just kind of just say hi. I could talk about how Microsoft will now be making some $$ out of most Android phone sales and how they'll probably end up making more money out of Android than they do out of their Windows Mobile OS, but that's just too much business crap to talk about. I can tell you about the awesome Concert I went to yesterday. I headed over to the Genesee Theater in Waukegan, IL to go watch Tenth Avenue North and Third Day (Christian Rock Groups). It was a ton of fun. Thank You again to my friend Geovanni who came up with the plan and made it possible for a few of us to go. Both of these groups are really amazing. I wasn't just excited about the groups though, I was actually also excited about the Genesee Theater. I had been wanting to go there for so long and I never had a chance. So it was really nice to finally get the chance to do that. There is a Theater in Milwaukee called the Modjeska Theater. It's in what is now known as Historical Mitchell Street. This Theater was constructed in the 1920s and for many years it was THE place to go to. In 1989 when I arrived to Milwaukee it was DEAD. In the 90s they tried to turn it into a movie theater. This is where I first was able to go inside this beauty and I just fell in love. I thought it was beautiful. However it really wasn't that great as a movie theater. I recall going to watch Mortal Kombat in there once. The movie stopped about 3 times. Movies were always super late also. So the whole movie theater idea didn't last very long. It just went back to being closed. Today the theater is still there, but it's still very abandoned. It does get some use, I do believe they bring a lot of high school plays there, but that's about it. When I first came to Waukegan in 1998, I saw the Genesee theater and it reminded me so much of the Modjeska that I liked so much. Just from the outside, they looked very similar to me. I did some research and noticed that the Genesee was also made in the 1920s. However, the Genesee was much luckier! 23 Million dollars went into renovating this theater. In 2004 it opened its doors again to a very sold out Bill Cosby show. Ever since then, I always wanted to go in there, just never really got the chance to. Whenever I'd find someone that was coming in, it was too late. The Genesee was able to become what so many times I wished the Modjeska would become. I'm going to keep on hoping something gets done with the Modjeska, until then, I know now that I certainly want to go to many more shows at the Genesee! Now this comment in itself is a little ridiculous considering how many ideas Apple has taken from other places. They certainly didn't create the computer, or the mouse and even their biggest seller, the iPod is still just going on previous ideas. Don't get me wrong, they took a lot of these ideas and made them so much better, but they are certainly not new ideas. The iPhone was certainly not the first Smartphone ever either. All this however made me wonder what the world would be like today without Android. I remember when the iPhone first came out and how so many companies were trying to come up with similar things that were not even close. All of a sudden Android comes along and it was like all these phone hardware companies saw a bright light coming to save them. Today with the help of HTC, Samsung, Motorola, LG and others there are more Android powered phones out there than iPhones. But it has basically taken all these tech giants to be able to compete against Apple. Remember, even though there are more Android phones out there, Apple is the only manufacturer of the iPhone, so Apple is still the largest Smartphone manufacturer in the world right now. This is where I wonder what would things be like if there was no Android? Would RIM (Research in Motion, makers of Blackberry phones) be doing much better? Would all these manufacturers eventually have picked some other OS? Would I be writing now about how Windows Phones are so much better? Would all these manufacturers make their own OS? In that case, what would developers be doing? It seems to be hard enough as it is to make an app and port it to both Android and iOS. Or would developers simply go with iOS because it was the biggest and not even bother with any of the others? Personally I'm glad Android came by. I like options, but if we had 1 HUGE option vs a bunch of little ones, then I'm pretty sure the 1 HUGE option would always win. Android kind of levels the playing field. But then it has also made it more difficult for others to play. RIM is not doing too good right now, they are losing market shares like crazy. Microsoft also hasn't been having a very good time getting their own OS started. Would webOS have been a success. Lets not forget about them, PALM made a very good OS that has just not been given a fair chance. Again, in my personal opinion, I'm glad I got Android. I'm glad it's Google the one fighting here and not Microsoft. Google has always had a much more friendly feel to it in my opinion. One thing I know for sure though, a world without competition is a horrible horrible world. As much as I complain about Apple, I'm glad they are there. I will always give them credit when they make good things. Siri for example, Android has had voice recognition for ever and it can certainly do a lot of the things Siri does. But Apple took the idea and made an amazing system that is very well integrated to so many functions of the phone. They did a really really good job. I still think it's useless unless you are driving, at which point the noise wont let it work too well but it's still very well made. And that's where Apple shines, once it takes an idea, it will make it well. And for that I am thankful. Because this is what causes companies like Microsoft, HP, Google, HTC, Motorola, Sony, Acer, Gateway, Asus, LG and so many others to make better products. Ok since I moved my blog from a wordpress.org account to a blogger account and I didn't bother importing any of my older posts, I feel I should explain real quick what I mean when I review a movie. I'm not a professional reviewer, I watch a movie and if I feel like it I'll come and talk about it here and basically just tell you what I honestly felt about the movie. Instead of stars, I normally give out STUFF awards . I also rate from 1 to 5. I went in to watch Paranormal Activity 3 without much expectations. I had seen only half of a trailer once and that was it. I knew it would be a prequel to the other two, but other than that I had no idea what the story would be about. One thing you realize in the movie real quick is that in this family we have 4 main characters. A husband, a wife and 2 daughters. These two daughters are the young versions of the Paranormal Activity and Paranormal Activity 2 movies. So right away you know nothing horrendous can happen to them because obviously they are alive later. This is one of the things I hate about prequels, kind of kills the excitement of knowing if someone will live or die. While watching this movie I found myself surprised a lot at the lack of anything going on. There were certainly a lot of parts where I figured something would happen, only to find out that nothing happened. I would say that during 2/3 of the movie, nothing really happens. Yes we see something like a few lights go on and off on their own and a door open and close and even a kid talking to someone that's not visible, but certainly nothing of any substance. Even though they surprised me by not doing something "Spooky" at a lot of times when I expected it, they still didn't surprise me when I didn't expect it. Everything still happened at very expected moments. All the usual scenes this movie is known for. The doors slamming, the ceiling falling, the spooky person standing there for hours, the outside scene (yes there always has to be a spooky outside scene). Finally towards the end we start seeing some action, but it all happens really fast and not a whole lot of it is explained. There was no real drama between any of the characters. For a little bit the husband wanted the wife to see the proof that something was wrong but she would refuse until she has 1 scare and all of a sudden it's lets go time. I was very disappointed by the lack of anything going on through most of this movie. I was also disappointed by the lack of explaining the origin of this curse. I was disappointed by the lack of new effects. I was disappointed by the lack of any real exploration as to what is actually haunting the home. I was also very disappointed that there was no merging between the end of this movie and the events of the first two. I really liked how they did that with Part 2. With all that said, I did not HATE watching it. I don't expect much from Horror films anyway. I think this kind of movie is still fun to watch and normally even with it's flaws I would have given it a 3. But seeing how it almost feels like they didn't even bother trying, I can't do that. So I am giving this movie a 2. Well this may or may not end up being my next phone. There is still no release date or price for it so that could certainly change. But earlier this week, this beauty of a phone was unveiled. For those of you not familiar with the Nexus brand let me explain it a little bit. Apple makes the iPhone. Apple also makes the Operating System that runs the iPhone, called "iOS". Google doesn't make phones. But they do make an Operating System called "Android". This operating system is basically free to be used. 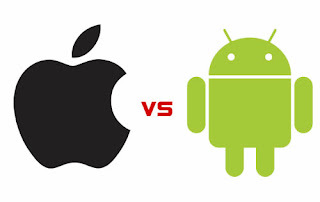 Companies like Samsung, LG, Sony, HTC, Motorola, they all make Phones, but making a good operating system is very difficult. None of these companies can use the iOS operating system because it belongs to Apple and Apple alone. But here comes Google offering an operating system that's just as good if not better for free and they all jump in. So Samsung, LG, Sony, HTC, Motorola and many others decide to start making phones and putting the Android operating system that Google created into them. However, all these companies want to make their phones look like their phones. So they all take Android and modify it by changing how a lot of it looks and also changing a lot of the applications. They also tend to name their modifications. For example, HTC calls their modified system "SENSE", while Motorola calls it "MOTOBLUR" and Samsung I believe calls theirs "TOUCHWIZ" or something like that. Google must have felt that there was a need out there to have a phone that was Pure Android the way they originally made it. And thus the idea of "Nexus" came up. Google went over to HTC and basically asked them to make a phone for them. Gave them all the specifications of the phone and HTC made it. It was called the Nexus. This phone was pure Android. It was released in January 2010. The beauty of this Phone was that it would always be getting the Google updates before anyone else. Most cell manufacturers take for ever to implement Google updates on their phones. In December 2010 a new Nexus was released. This time made by Samsung. It was called the Nexus S.
Now the 3rd Nexus arrives. 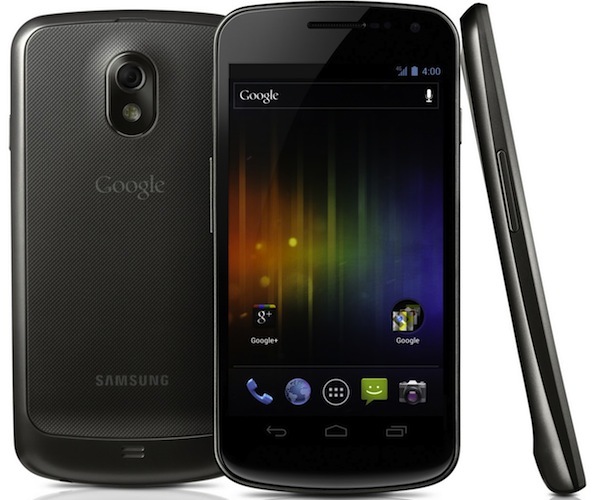 The Galaxy Nexus. Also made by Samsung. This last phone comes to us with some very good specs. Like a Dual core 1.2Ghz processor and 1GB of Ram. Also a beautiful sharp 1280X720 Resolution screen. I will not get too much into the details because as I keep saying, the idea of this blog is to keep things very simple. This phone also comes with the Newest version of Android, version 4.0 which is also known as "Ice Cream Sandwich". I will have to make a separate post just about this version of Android. But basically this phone runs very smoothly, Android 4.0 is the first android version enhanced to work with Dual Core processors. Like I said the screen is beautiful. It has a 5MP Camera, which I know, sounds a bit old but remember, MP means nothing, it's more about the quality of the sensor. It does shoot 1080P video. When taking pictures it has 0 shutter lag, so you can take one picture right after another one without having to wait really. It has a NFC chip so that you can easily transfer data from one phone to another or in the future make payments using your phone. It does come with a front facing camera for video chat, and a decent size capacity battery. It will be available in a 16 Gig version or a 32 Gig version. This is where normally I'd say it doesn't matter because you will be able to expand using the micro SD card anyway, but this one doesn't seem to have one, which I find odd because every android phone I've ever seen has one. It does not come with HDMI out either, which I found a bit disappointing. However I have HDMI out on my Motorola Xoom Tablet and I've only used it once, and that was to test that it worked. I can't see myself really using it. As many of you should know by know, photography is a big hobby of mine. I've known about the concept of Light Field Cameras for a while but I really didn't think that such products would be around anytime soon or that they would be at a rather affordable price. Now I understand a lot of you are probably wondering, What is this guy talking about? I'm not going to try and explain all the technology that goes into this because, well this isn't that kind of blog and I certainly don't know all the technology that goes into this. But here is the main idea. A lot of times we take a picture of what is supposed to be a very special moment only to find out that we messed up on the focusing and our picture came out of focus. We can try to convince ourselves that the out of focus style kind of makes the picture look more special but we all know in reality we are just pissed at the fact that our picture is out of focus. Other times, we want to take a quick picture of something but our camera can't seem to be able to figure out where it wants to focus, so it keeps focusing in and out and by the time our picture is taken the special moment is way gone. Well, what these Light Field Cameras do is they take up light from basically all parts of the picture. It captures a huge amount of light. It then processes all the information from all parts of the picture. Meaning the camera doesn't actually focus, it basically takes pictures of all possible focus points. Later on you can click on any part of the picture and it'll focus it for you. This means that when you need to take a picture, it takes the picture real quick because there is no focusing required. 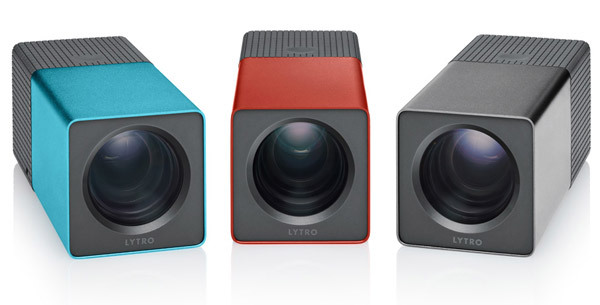 These cameras start at $399 for a 8GB version and $499 for a 16GB version. But really I can't explain this enough myself I'd go on over to their site and play a little with the gallery. Mostly anyone who knows me even a little bit knows I'm a big Android fan. But I understand that a lot of people have some very bad impressions of Android based on either past experiences or just plain not knowing how to really use Android. One of the things that I do like about Android is the fact that it's a OS that we have really seen evolve. I joined the Android bandwagon when it was still in version 1.6 and each new version I always see something new and exciting. However, I do understand that someone who used a Android 1.6 phone at some point, may think Android is simply the worse thing ever. I honestly feel that if these people would try out one of the newer phones they would be very surprised. The other big reason I believe people have issues with Android is the lack of knowledge on how to use it. So here are some tips. Task Killers: All these apps that kill tasks you are not using in order to free up more memory for the phone. These are horrible things to use. Android DID have the need at one point to use them, however Android does manage all of it's memory by itself. When you use a task killer you are running the risk of killing very important system task. This of course results in a phone that doesn't work very well. Live Wallpapers: They are nice aren't they? But they can also be very bad for your phone. Don't get me wrong, there is a lot of very good very well made live wallpapers out there that wont bog down your system and steal it's battery power. However I would say the vast majority of the ones you find out there are very poorly made and even though they look great, they are most probably killing your phone. Personally I prefer to either stay away or use one of the google provided ones. Widgets: Widgets are one of the main things I like the most on my Android phone. I love having all this information right there when I turn on my phone. But with widgets, you also need to be careful. It's more of a "Just because you can do it doesn't mean you should" rule. Having a widget there displaying statuses from your Google + account is most probably ok. But if you have one widget showing Google + statuses and another one with Facebook statuses and another one with your Twitter and another one with your emails and so on, then you are killing your phone. Can the phone handle it? Sure it can, but it will use up a lot more data trying to keep all these things updated and it will also use a lot more battery power. Too many people complain about battery power and then you look at their phones and they have a ton of widgets there. Accounts: Be it a Google + account or an Email account, every time you add more accounts to Android it is more things that it assumes it needs to sync up for you. You need to go into the settings and tell it not to automatically sync whichever you don't really need it to automatically sync up. This is once again for the same reason as the Widgets, more emails that it has to download = more data and more battery used. Another thing to keep in mind is how often these accounts are set up to sync up. You have to ask yourself, do you really need to know what your friends posted every 15 minutes? or would you be ok knowing once every hour? Or maybe once every 2 or 4 or 6 hours. Or maybe you could just have it set up to manually check only when you feel like checking. Screen Brightness: This is not really an Android thing, more of an overall smartphone thing. But with widgets Android does make it super easy to change the brightness of your screen. So I strongly recommend downloading a brightness selection widget and keeping your brightness at a rather low setting unless you really need it to be higher. This will go a long way in saving battery power. Personally I use a widget called "Brightness Level", it's very good and free if I remember correctly. 3G is not so bad: Most of us in the Android world live in a 4G world. And we LOVE our 4G speeds. However, keep in mind that if you are going to be away from a desk most of the day and you don't think you'll be doing any heavy web surfing, then switching your phone to 3G mode might be a good idea. 4G is fast, but it also requires a lot more battery juice than 3G. So basically LEARN how your phone works and how you can make it work better. Unlike Apple and iOS, Google doesn't assume it's users are idiots that will simply mess up their phones if allowed to do certain things. Google gives you the option of doing a ton of different things to your phones, but obviously if you do them all then you will have problems. Apple doesn't really want to hear people complaining so they just limit the hell out of iOS. Apple also doesn't like bad marketing. So yes, their phones usually work better because they don't have a whole lot of anything to process. And Apple LOVES to have people talk about how their phone just works. Now I'm not going to bash the iPhone. The iPhone 4 is an amazing phone and I'm sure the iPhone 4S will be as well. Android is certainly not for everyone. Plenty of people out there need something like the iPhone, simple and easy to use without too many bells and whistles. But when I see a young smart person follow apple simply because they believe all the hype, that's just sad in my opinion. As I mentioned yesterday, today Apple released their new version of their phone operating system called iOS. This is version 5 of the OS. If you have an iPhone 3GS,iPhone 4,Ipod Touch 3rd or 4th generation or either iPad, I'd hurry up and install this update. Notice, I did not mention the iPhone 3G because it is NOT going to support iOS 5. So if you are still carrying an old iPhone 3G for some reason, you really should go get yourself a new phone! So what can you expect? Well, visually don't really expect anything. You still have your homescreens full of apps and folders. Things may look a little bit more polished but there really isn't any noticeable changes as far as how it looks. The changes that you will find come when you update your iTunes to 10.5 and your iOS to 5. This is where a lot of the iCloud changes come in. Finally iOS users get to enjoy a lot of the same things Android users have been enjoying for quite a while now. I already talked about the iCloud a bit yesterday and how you'll be able to redownload things you've already bought, but one thing I know I forgot to mention yesterday was the ability to sync up tasks with outlook. This I know is a big thing for a lot of people who sync their iphones to their works enterprise service. If you have a mac with iPhoto you'll be able to take pictures with your phone and have it automatically send the pictures to your icloud and then the icloud will send it to your iPhoto. There is also iMessage, which allows you to message people kind of like Text messages. Very much what Google Plus does and I believe this is what Black Berry messenger is as well. I like the fact that it works on my iPod Touch, but at the same time, I feel it's a little late. This feature would have been really cool a few years back, now it just seems old, I've already got plenty of programs that allow me to text people from my ipod Touch. Finally the biggest change has to be the Notifications menu. You can now swipe from the top to bring down a screen with all your notifications. So they will no longer bother you when you are doing something. I was a little disapointed with this because I noticed that not ALL notifications use this method, I still had a lot of system notifications use the same old pop up. But I guess that makes sense, I just hoped I'd never have to see that darn blue bubble ever again. As a Tech Geek, I'm glad to see all these things come to iOS 5. I still would love to see iOS do a lot more. I'd love to see widgets, even if limited to one or two. I'd love to see more integration with other programs where you can easily click on a picture and share with a bunch of other services. I'd love to see the ability to do file management in the phone. I'd love to see more options as far as app stores, yes I want a free iOS app of the day! lol I'm certainly glad that they've eliminated the NEED of iTunes now. Overall, good update. Should it be a lot more? I think so, but hey better than nothing. As it normally happens before an OS update, Apple has released iTunes 10.5 into the wild. Normally I wouldn't bother telling anyone about a new iTunes, if you've seen one you've mostly seen them all. That is until now. Version 10.5 comes with some changes but there is a few that I'm more excited about. First there is the PC Freedom. This wont happen until you update your device to iOS 5 (which should come out on October 12th) but the idea here is that you'll be able to sync your iTunes library to your device without ever having to plug in the phone to the computer. It'll be done through Wi-Fi. This brings me to my next point, the ability to re-download previously purchased music. For way too long iTunes has had this idea that if you buy a CD at a store and you lose it then you have to buy it again, so why not do the same at their store? Well, that has now changed because from now on you'll be able to re-download previously purchased music, TV Shows, apps and books. About time in my opinion. I must say though, it was fun going into my purchases and seeing all the stuff I've bought that I've forgotten about. iTunes Match would be my next point. Although this isn't functioning just yet, it should be soon. This is the only cloud service that Apple is charging for, but basically it looks at your music playlist and if it has the same album that you have, it'll add it to your cloud automatically so that you can listen to it on your iPhone on the go. So lets say you have 1,000 songs, you probably don't want to carry all of them on your iPhone, so just carry the ones you want and stream the rest. The iTunes Match service will cost about $25 per year. Both Google and Amazon have similar services, but I'm pretty sure most people will want to keep using iTunes as their music service of choice. Finally with iTunes 10.5 and iOS 5 all your Apple devices will happily play together. If you download an app in your iPhone it will also download on your iPad and your Mac computer. Same goes with Calendars and contacts and so many other things. A lot of people feel that a lot of these are features that Android users have had for a while now. And I agree to a point, but it's ok because we Android fans do need Apple around so Google never becomes too comfortable. And better things for our iOS brothers and sisters is always good. Earlier this year Netflix decided they wanted to charge more for their services. So my $9.99 a month plan for unlimited streaming and 1 DVD out at a time became more of a $15 a month plan. They separated the fee's of streaming and DVD rentals. This caused a lot of people to get angry and start canceling accounts. Later on Netflix made a public apology stating that they were sorry about how they did that but that it was still necessary to keep the higher prices. However they also made the announcement that they were going to be splitting Netflix into two section. One called Netflix, which would be the regular streaming service we all know and then another one called Qwikster. Qwikster was going to be the DVD rental company and they were also going to be adding video games to their catalog. Well yesterday comes another apology. Turns out most people didn't like the idea of having to have two separate accounts in two different websites in order to do the same thing they used to do under one account in one website. Who knew. . . . So, basically we are back to the beginning where our prices went up and that's it. I didn't make a big deal out of this and I highly doubt there is anyone out there left that would care, but today I officially killed Anarchy Life Forums. There had been no real activity in it in for ever and I certainly didn't post in it anymore. Part of me really wanted to wait until 2013 in order to at least get 10 years of it, but really keeping a empty forum for years doesn't really mean it was there. I will say that running Anarchy Live Forums was an amazing experience for me. There were a lot of really good times and a lot of really bad choices in my part. Most importantly I got the chance to meet some really amazing people from all over the world. People like Ryder who eventually became my co-worker and roommate. People like Tynvar who has always been there showing his support and also always been such a good friend. People like the crazy Estonian crew we had for a while. White Knight will always be the first one for me lol and Random Hero will always be the last. People like XXLEnigma who loved terrorizing Gamecop. All the people from the Matrix who shared our forum for a while. Hexter and Superman who loved showing up every now and then and who also helped keep AL legal. And who could possibly forget someone like DPSX. Thanks to all the social networking sites it became just down right impossible to keep up a forum that wasn't about anything specific. But all these great memories of so many great people I will treasure for ever. The Anarchy Live name of course continues on in the form of a Blog as it has been doing in the past months. I did go ahead and move from a hosted Wordpress blog to a Blogger account. This is done because I don't really post very often and when I do it's nothing very complex, so there really is no reason for me to be dealing with the trouble of hosting the site and trying to keep it updated.